WoPC Home > U.S.A. > NYCCC > N.Y.C.C.C. 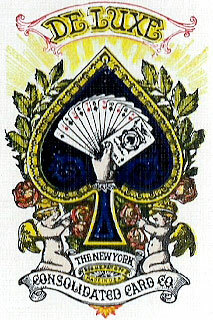 The New York Consolidated Card Company was formed in 1871 by the merging of three earlier firms which had flourished during the mid-19th century. These were Lawrence & Cohen (which had been founded in 1832 by Lewis I. Cohen), Samuel Hart & Co (founded c.1849 by Samuel Hart) and John J. Levy. 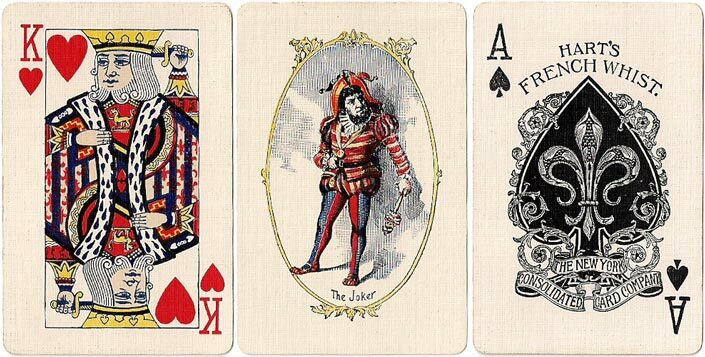 This Ace of Spades and the Gold Medal Joker were first issued c.1880 and subsequently used in "Squeezer" decks. 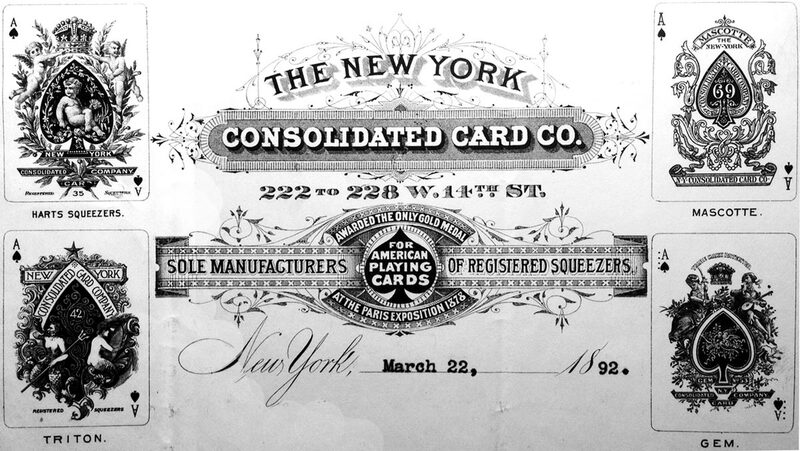 In 1876 the New York Consolidated Card Company produced its Patented Squeezers brand, in the same year that Alexander Graham Bell invented the telephone and the National Baseball League was founded. It was also the year in which Wild Bill Hickok was assassinated while playing in a poker game. 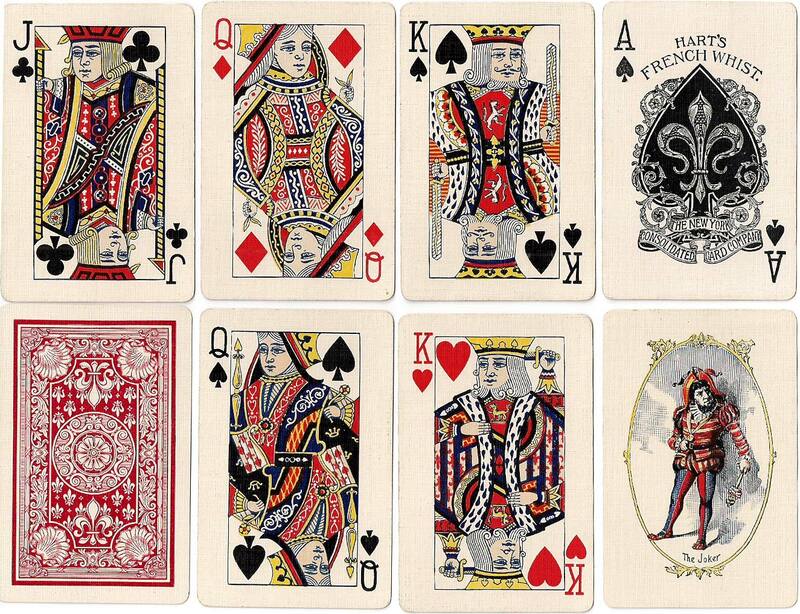 When the fatal bullet struck, Bill was holding a hand consisting of two Aces and two Eights. Such a poker hand has to this day come to be known as the “Dead Man’s Hand”. 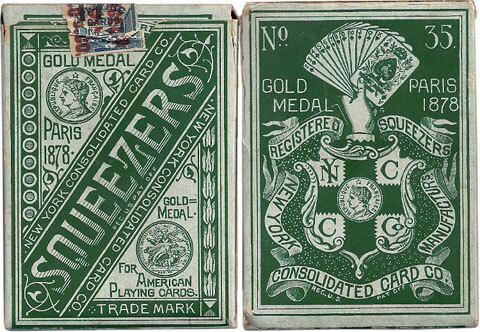 The invention of “Squeezers” paved the way for indices to come into common use on English and American cards. 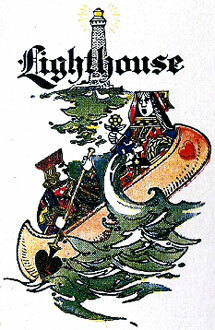 The brand was celebrated with a Gold Medal Joker and a magnificent Ace of Spades. 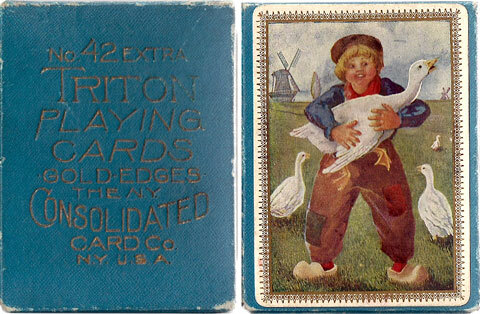 The term “Squeezers” was also used on other brands manufactured by the New York Consolidated Card Co., including “Triton” playing cards, “Squeezer Steamboats”, “Angel Back Squeezers” and several others. 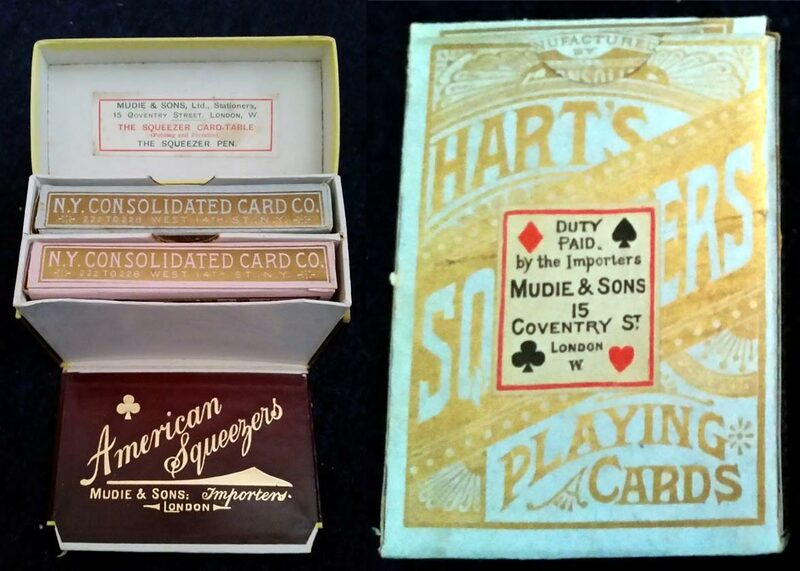 Above: boxed set of two packs of “Hart's Squeezers” imported into UK by Mudie & Sons, c.1890. The pack in the blue box has blue backs, the pack in the pink box has red backs. All the cards are gold-edged. Image courtesy Pat Waddington. Above: this particular Ace of Spades was used by NYCC from c.1910 onwards (til 1930) when manufacturing private brands for department stores, drug chains, private clubs, etc., using the customer’s name and/or designated brand on the box or, as in this case, a label stuck onto the box. 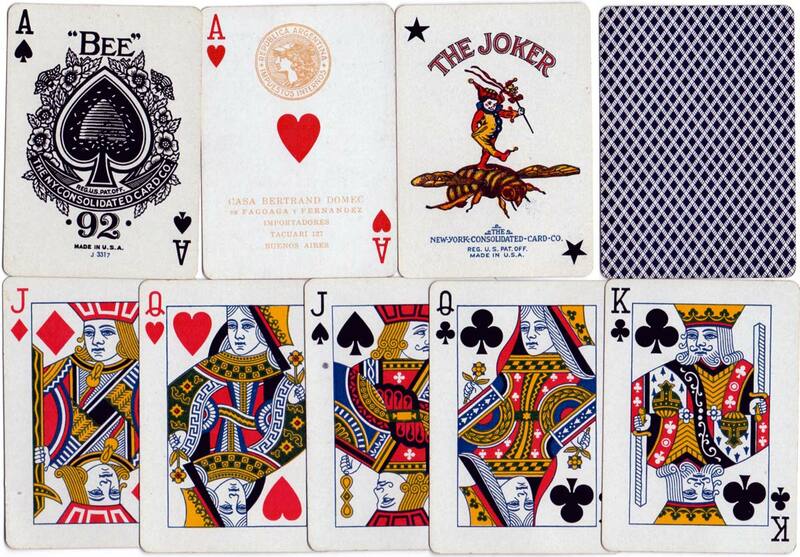 There was no special Ace of Spades of Joker for these decks, presumably to keep costs down. Image courtesy Matt Probert. 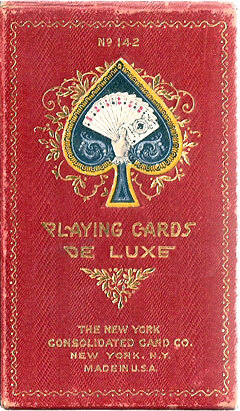 Above: Genoese or Belgian style cards complete with 'Ye Joker' from a Nain Jaune box with board, counter holders and boxes of ivory chips, c.1900. Image courtesy Ken Lodge. In the early 1900s NYCC moved its main plant to larger premises at 4th & Webster Aves, Long Island City, N.Y.
From 1894 until 1930 NYCC operated as a separate company under the umbrella and guidance of USPCC. 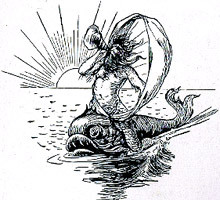 In 1930 the New York Consolidated Card Co and the Andrew Dougherty Co (which became part of USPC in 1907) merged into Consolidated-Dougherty Co., with headquarters in New York. 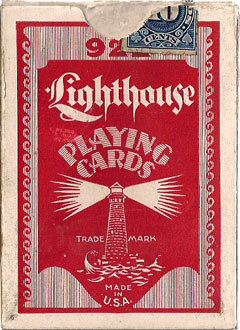 This company was dissolved in 1962 when it became a division of the United States Playing Card Co. of Cincinnati. 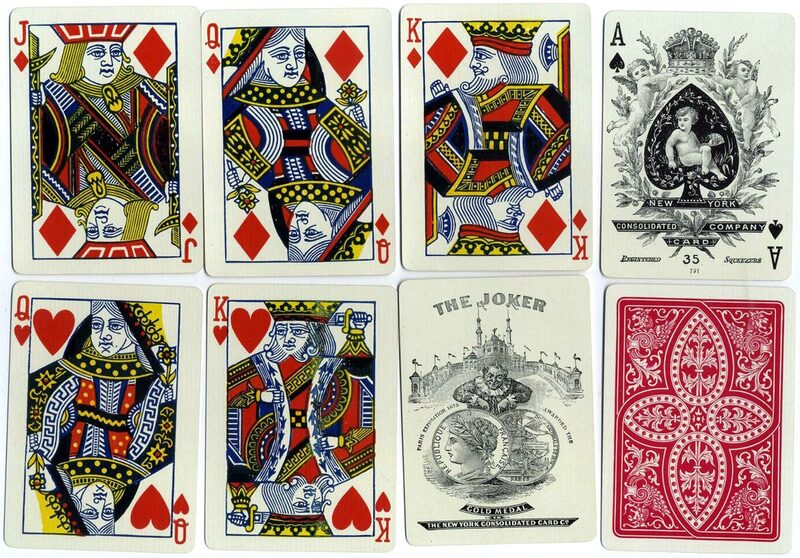 Lewis I. Cohen was a pioneering manufacturer who made his first deck of cards in 1832. In 1835 Mr Cohen invented a new machine to print four colours on a sheet at once, which was to revolutionise the entire playing card industry. This innovation soon led to his dominance in the market. The "Bee #92" brand was first produced by NYCCC in c.1895 and is still being produced today, making it one of the longest running brands ever made. It has been exported extensively around the world and customised for casino use where required. 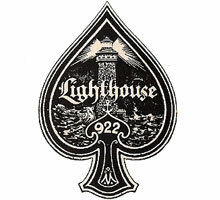 Over the years the design of the Ace of Spades has been simplified, losing the decorative detail seen on earlier examples. 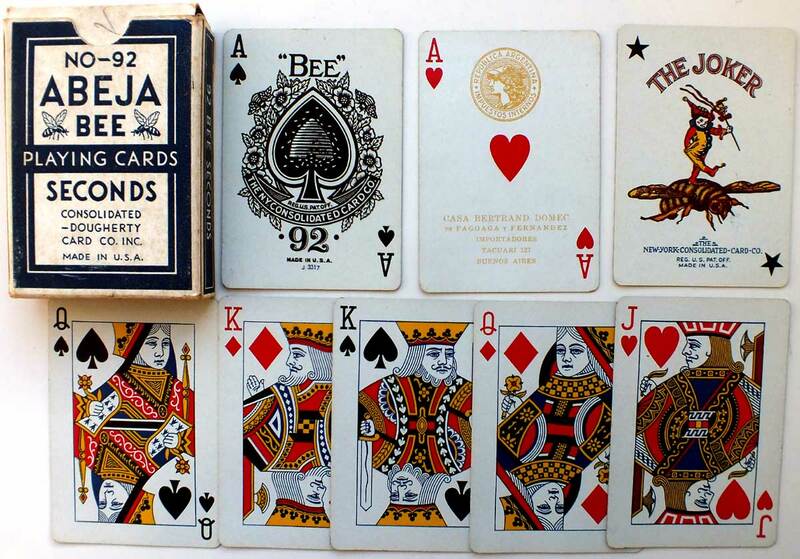 Today "Bee #92" cards are manufactured by the United States Playing Card Co., Cincinnati. Above: No-92 Bee, N. Y. Consolidated Card Co. Above: No-92 Abeja Bee Seconds produced for export to Argentina, Consolidated Dougherty Card Co., c.1930s. 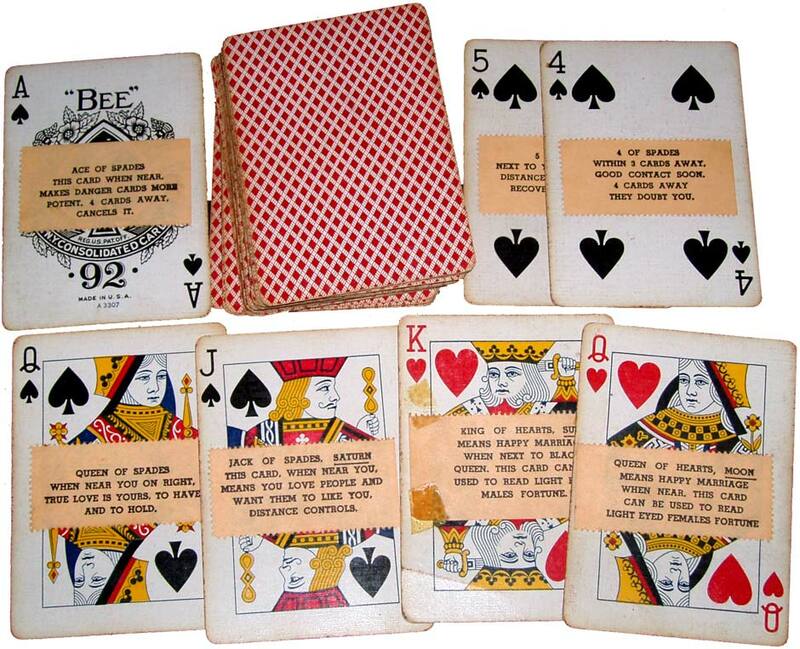 Above: "Bee #92" playing cards which have been prepared for fortune-telling by the addition of adhesive paper labels on each card detailing the divinatory meaning. We are grateful to Rod Starling for generously contributing information and images of cards and from his collection.